Ordering copper range hoods online can be very stressful and intimidating for those not familiar with the process. 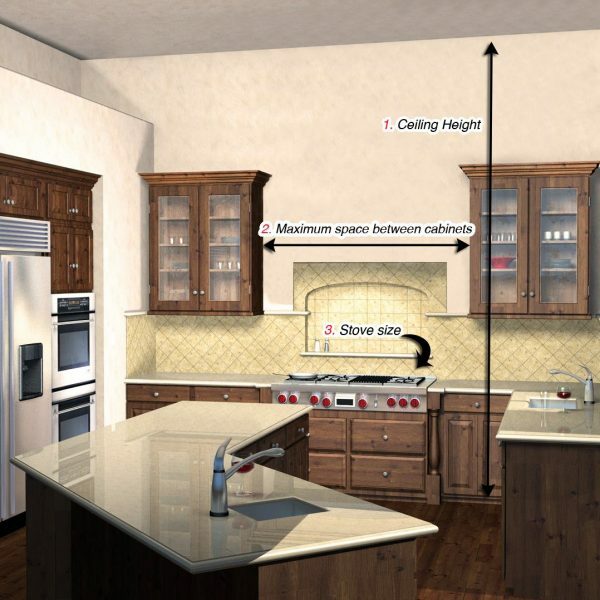 At Art of Range Hoods we LOVE educating our clients to help them determine the size and style needed for their kitchen space. With our 3 step easy-to-follow guide you will determine the basic range hood size needed for your kitchen! And while a lot of companies would stop there, at Art of Range Hoods we know it is extremely important to get as many measurements as possible. This ensures that the copper ranges hoods will fit perfectly into place. Let’s go on to a few important questions that will help us design the luxury copper range hoods you desire! All of the above 12 questions combined will help us determine the size range hood that will best fit your kitchen. Simply write down all of the measurements from our guide, choose from our wide selection of copper range hoods, then give us a call to complete your order! In just a few easy steps your custom copper range hood will be created, delivered and installed! Still stuck? No Problem! Give us a call at 360-891-6540, or send us an email: info@ArtofRangeHoods.com and one of our dedicated team members will happily walk you through the measuring process.